The Innovation category of the Queen’s Awards for Enterprise acknowledges new technologies and advancements that have wide-reaching benefits. In the case of the Quartix SafeSpeed Database, it isn’t just our customers who see the value in our innovation—everyone who drives in the UK stands to gain from sharing the roads with drivers who are more aware of their speed and are taking care to drive safely, not just legally. The SafeSpeed Database and the algorithms that make it possible for us to provide a relative safe speed for every road in the UK deserved to be recognised. But they’re blended so seamlessly into our real-time tracking and reporting tools that we needed a big spotlight to give them their due—what better way to do that than by applying for the most prestigious business award in the UK? To illustrate the benefit of the SafeSpeed Database, consider this example. 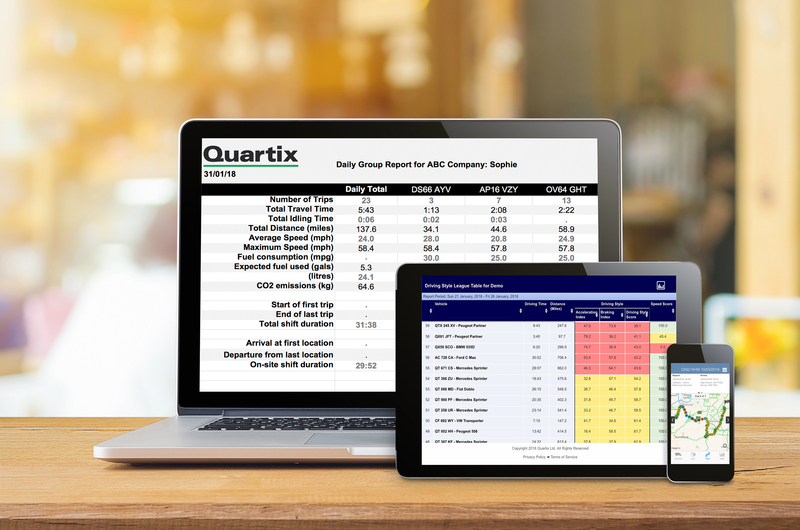 A driver going 55 mph is driving under the speed limit of 60 mph, but Quartix tracking systems have recorded that most drivers on the same stretch of road drive around 45 mph. This indicates that although the driver is within the speed limit, their driving style puts them at an increased risk of harm to themselves and others. Identifying, addressing and correcting these behaviours helps to reduce the number and severity of road accidents across the UK. We were excited and honoured to receive the news that we’d won the award. Although we were confident in our product, the recognition in Innovation was the culmination of years of hard work from our development team. It was a thrill to be able to share the news with our staff, all of whom work hard to develop and support groundbreaking vehicle tracking solutions. For our customers, seeing us receive this respected award reiterates that they have partnered with a leader in telematics technology, something we also hope will make us stand out from our competitors. Start your application early! It’s an involved process that will probably require input from multiple people or departments in your company. However, don’t be daunted. Since the application is online, you can change and save your work until you’re ready to submit. In fact, the detail into which the application goes is a sign of the award’s significance—the time and effort are well worth it. Quartix provides vehicles tracking solutions to small and large companies. We were founded in 2001 by four industry professionals and our headquarters are in Newtown, Wales. We have installed over 300,000 units for many different industries including building, construction, trades and on-site services companies, transportation, security, and product distribution. In 2010, we began operations in France and in 2014, Quartix USA opened its doors in Chicago. Besides real-time tracking, we offer comprehensive fleet management reporting and driving style analysis, backed by our award-winning SafeSpeed Database.